Jagex Games Studio – creators and custodians of the fantasy MMORPG, RuneScape – has announced that tickets for this year’s RuneFest fan convention have now sold out. Tickets for the event, which takes place on Saturday 3rd October at Tobacco Dock in London, were released just four weeks ago and have been snapped up by RuneScape players from countries across the world. In 2014, the same number of tickets were sold in six weeks. Approximately 50 percent of tickets were purchased using RuneScape Bonds, rather than real-world currency, compared to 40 percent in 2014. As with last year’s event, players who have been unable to secure their tickets in time will be able to watch the proceedings live via RuneScape’s Twitch page. 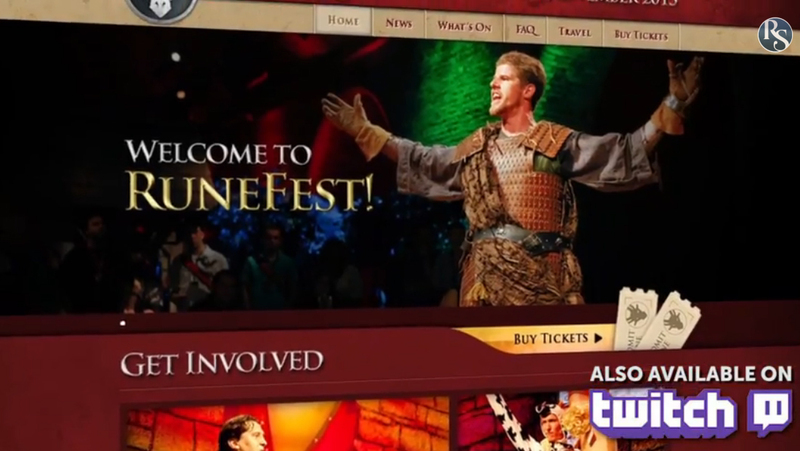 RuneFest 2015 is shaping up to be another exceptional showcase. This autumn’s event will be an Invention-themed steampunk spectacular with undertones of vampyric darkness, and will include exclusive reveals, Q&A panels, the legendary ‘Golden Gnome’ awards that celebrates fan-made videos about RuneScape, and other celebrations of all things RuneScape.